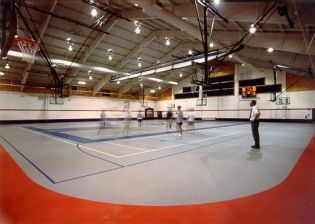 This was the new construction of a 26,000 square foot athletic facility, with amenities that integrate a multipurpose gymnasium (basketball, tennis, and volleyball), squash courts, grand entry lobby area with trophy case, weight/workout room, ski rooms, locker rooms, team rooms, bathrooms, storage, mezzanine, and more. 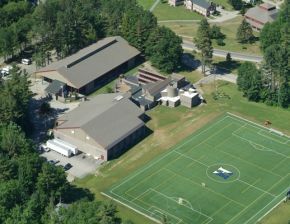 We approached it using our “design/build” method, comprising several different building assemblies (including steel, block, and wood). There was an excellent level of finishes, including provisions for specialty sports equipment.